A magnificent shade loving flower that brings a touch of the exotic to the end of the summer season, flowering August to October. 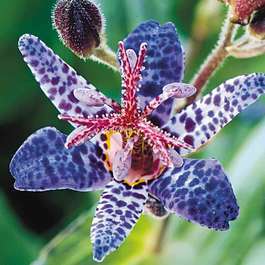 Its native range is from the Himalayas to eastern Asia, a genus of the Asian lily family know in England as toad lilies. 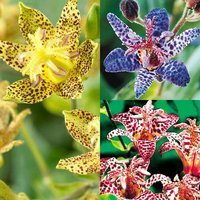 Long stems, erect or arching hold striking star shaped flowers. 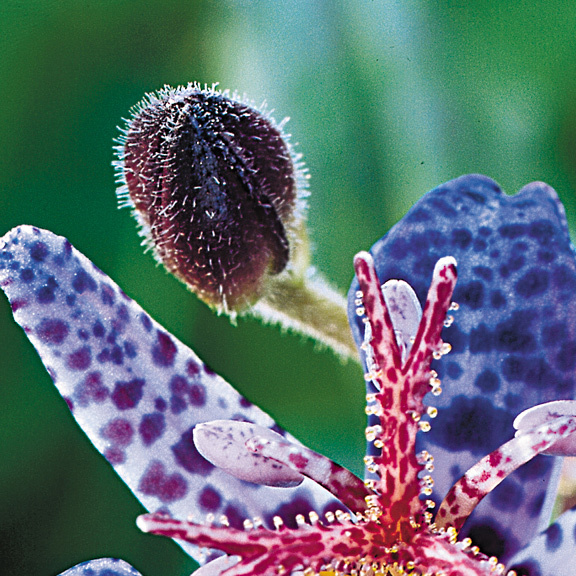 The perianth is trumpet shaped with six tepals arranged into two whorls, the stamens yellow to white, spotted red and tip ped with purple anthers. 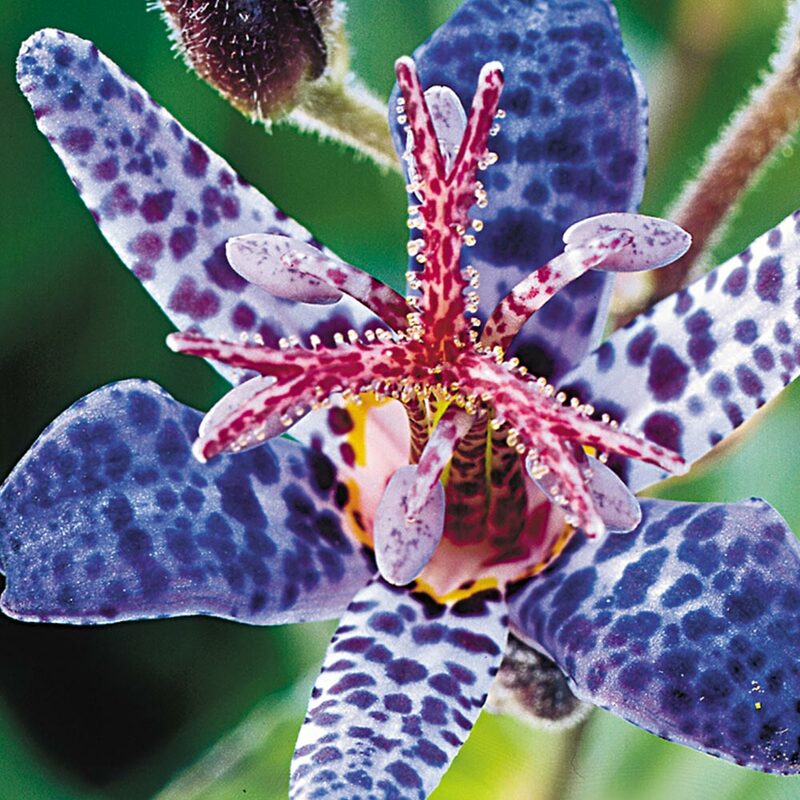 The petals are a dusky white, heavily spotted with purple creating a deep blue bruised effect. 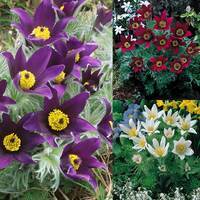 Will thrive in shaded areas, preferring well drained fertile soil, may need frost protection but is typically hardy. 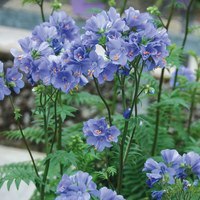 This beautiful ornamental flower will do well featured at the front of a border, it's height only 60cm, and can also be an attractive cut flower. First grade loose roots supplied. Upon arrival plant out straight away in either shaded or partial shaded areas. 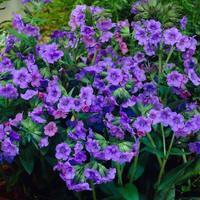 They prefer well drained soil that is fertile, and add some rotted manure when planting. They thrive in areas of shade or light shade to produce some of the most unusually beautiful spotted flowers. Can be divided in Spring should you want to relocate them.